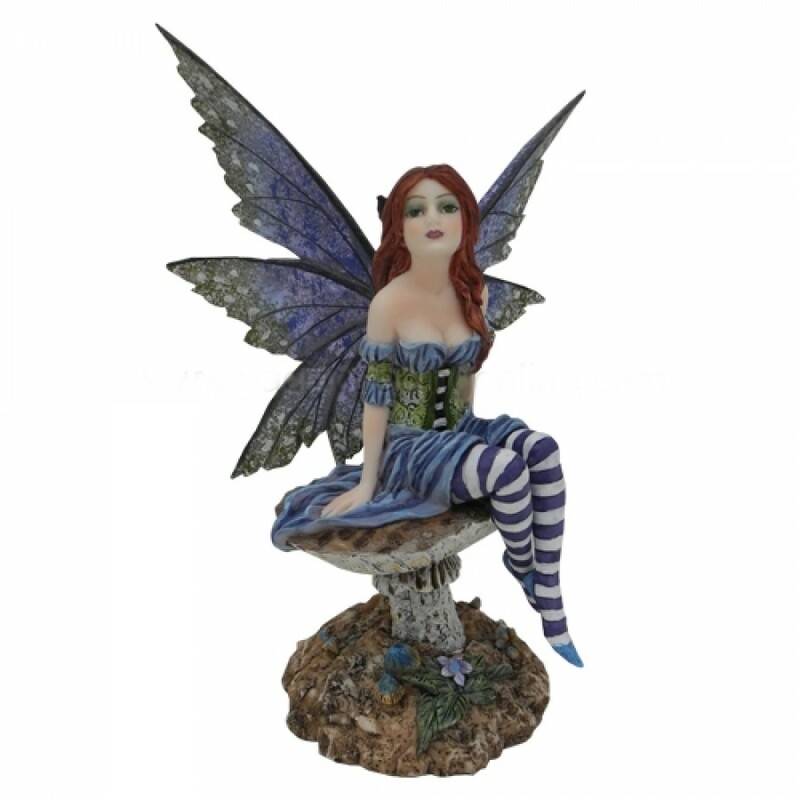 This lovely fairy figurine is based on art by Amy Brown! The pixie sits upon a mushroom. The fae is clad in a dress of blue, with a green corset over the top. She wears stockings, striped with alternating rows of indigo and white. The faery's wings are done in matching deep navy, and she gazes upwards expectantly. 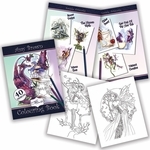 This collectible would make a fine gift for anyone who loves faeries!